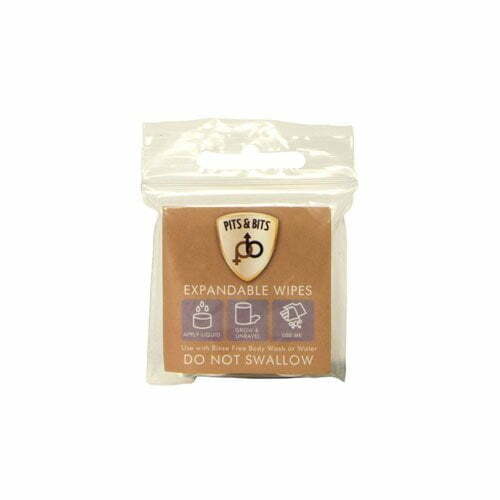 Combine the expandable wipes with our Pits & Bits Body Wash and create the perfect bathing wipe! You can take these small compact flannels anywhere, being so versatile you, can use them in many situations, from washing up whilst camping, cleaning your bike, or travelling to washing your body as they are so soft and durable. Combine this with our Pits & Bits Body Wash to create the perfect soapy bathing wipe!